Tired of millions of pines all over the floor? Of colorful ornaments? 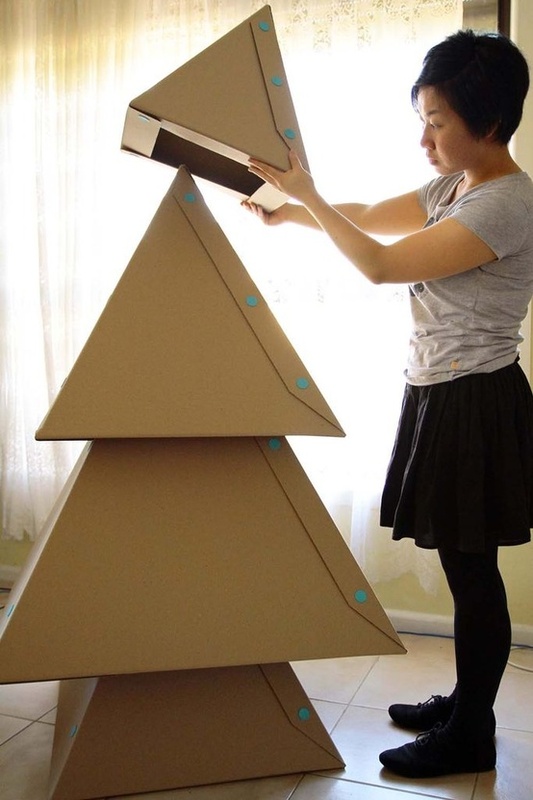 Then you may be interested in a cardboard tree? Simple tutorial here.